This is Coalmont, an old mining town with lots of history surrounding it. 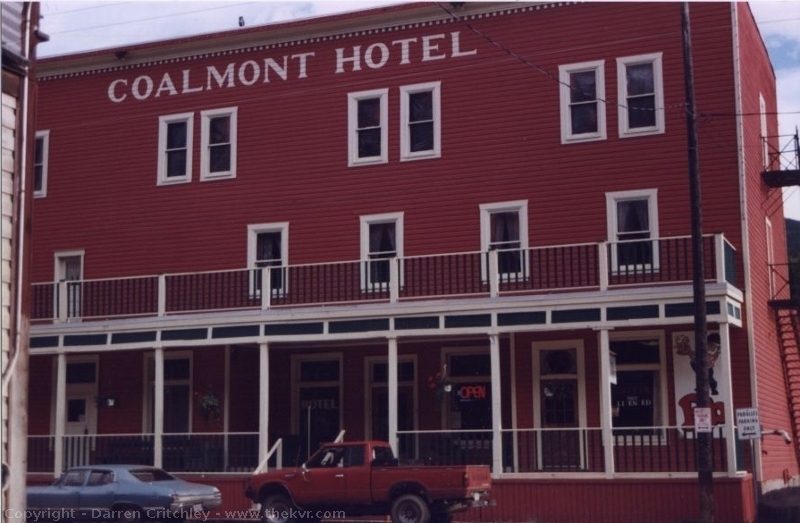 The biggest feature of this old mining town is the Coalmont Hotel built in 1911/1912. The bright red building that you just can’t miss. Coalmont Collieries established the townsite in 1911 as a base for a coal mine at Fraser Gulch, to the west across the Tulameen River. 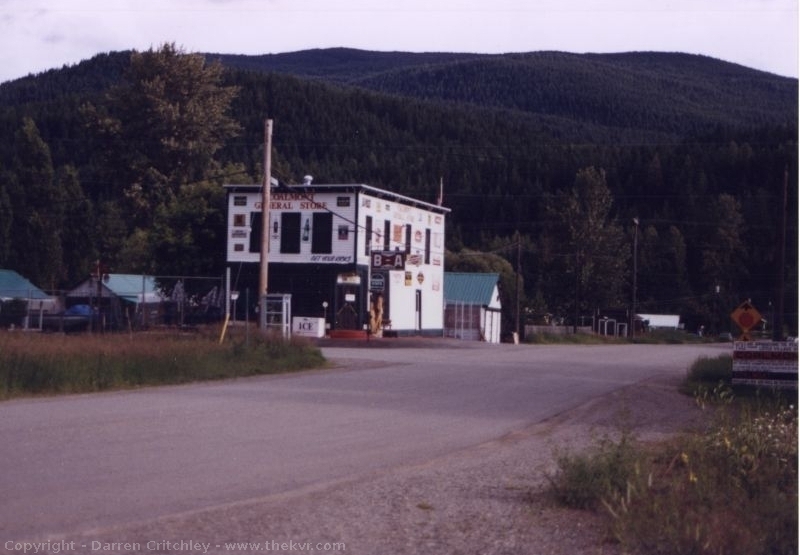 The Kettle Valley Railway comes right through the middle of this town. There are still some relics of the old railway around. There was a general store here that was beautifully restored, with signs and everything. Unfortunately all that remains is the building. I don’t know where the occupants went or their story. The last time I was through here, the store was for sale, but that was a very long time ago. I am also hearing from friends in Princeton who frequent the area, that the hotel is no longer operating, which is too bad, it was a very interesting place to visit. Across the river behind the hotel is the old townsite of Granite City. Cross the bailey bridge and go left, you will come to a clearing that has an old log cabin in the middle of it. A memorial is placed here to make note that in 1886 this was the largest settlement outside of Vancouver, Victoria and New Westminster. With about 200 buildings. Gold was discovered here in 1885 and produced until about 1890. Along with the gold, platinum was found here as well and at by 1891 Granite Creek had become the most important platinum producer in North America. Higher up the hill behind the town, is another old ghost town, Blakeburn, where coal was discovered in 1917. The owners of the colliery struck a lucrative deal with the Kettle Valley Railway to supply coal. Because the road from the colliery was too step and accident prone for trucks and horse drawn carriages, an aerial tramway was built in 1920 to transport the coal safely down the mountain. In its heyday, Blakeburn had over 500 residents. Click on a picture to see a larger one.